Khaled Hosseini poses for a portrait atop a water tank overlooking the Darashakran refugee camp in the Kurdistan Region of Iraq on March 24, 2014. Three years ago, millions of us opened our devices or picked up the paper to see the image of Alan Kurdi, a little boy, lying face down on a Turkish beach – drowned after a boat laden with refugees capsized while trying to cross into Greece. Canadians soon learned that Kurdi, like many others fleeing the horrors of the Syrian war, was ultimately headed here to join family living in Vancouver. For some, the image provoked emotions that led to action. For others, it triggered a kind of helpless rage at the state of affairs. And for novelist Khaled Hosseini, who saw the image on his computer at home in Northern California, the first reaction to the photograph was paternal. As a parent of two, he immediately began imagining the fractured emotional state the boy’s father must be in. After reading further, he learned that the man, Abdullah Kurdi, had lost his other son, Ghalib, and his wife, Rihan, in the same attempted journey. 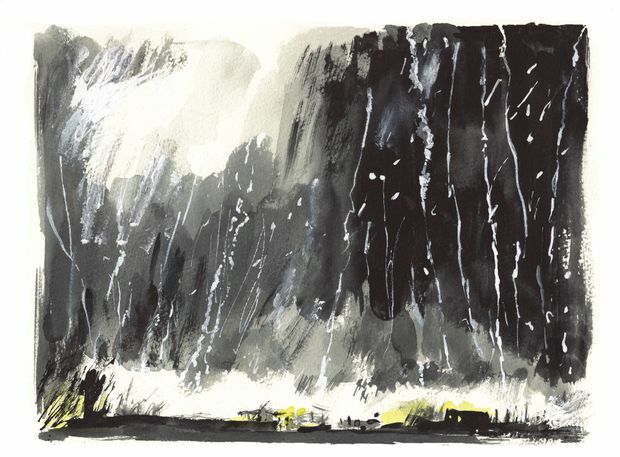 Hosseini’s new illustrated book, Sea Prayer, was born out of that moment. Not as a book, necessarily, but as an idea for action – a way for Hosseini, as he sees it, to create art as an antidote to the dehumanizing effects of numbers and headlines. To fight against the reduction of human stories into disorienting data points. Sea Prayer has had a few previous incarnations, as monologue and as an animated 360-degree virtual reality film. 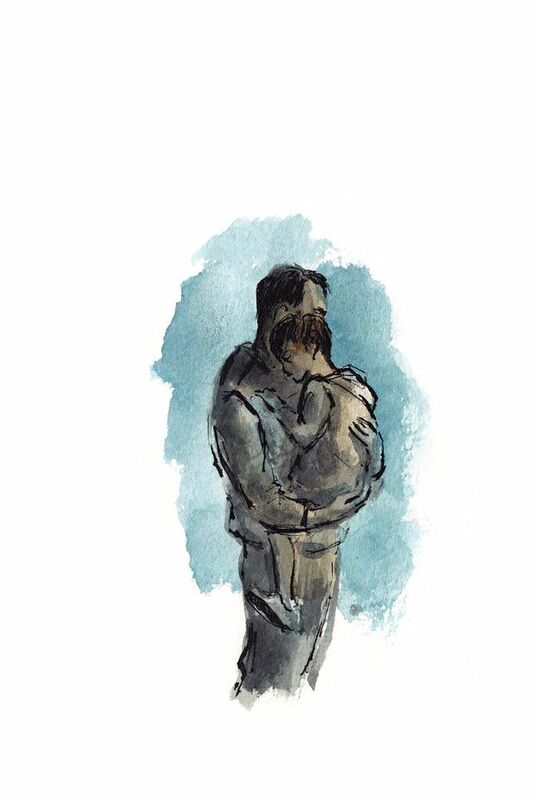 Only after meeting visual artist Dan Williams did it emerge as a picture book for adults and children able to handle the mature subject matter: a poetic account of one family’s journey illustrated in delicate watercolours. And to make sure that the story has a material impact, Hosseini has pledged to donate author proceeds from the book to the UN refugee agency (UNHCR), as well as his own foundation working with women and children in Afghanistan. In Sea Prayer, the narrator asks the endless expanse of water over which his family is about to embark to keep his child safe. “Because all I can think tonight is how vast, how indifferent and how powerless I am to protect you from it,” he tells his son. Only after Hosseini met visual artist Dan Williams did Sea Prayer, previously a monologue and an animated 360-degree virtual-reality film, emerge as a picture book. This mortal indifference, the book suggests obliquely, is something the water shares with the people on the other side of the ocean crossing – a population that lives largely untouched by the horrors of war and famine, and is not forced to make these calculations with the lives of their loved ones. The urgency of his words come, in part, from seeing the current refugee crisis up close. In June, after Sea Prayer had been written, Hosseini was invited by the UNHCR to visit Sicily and Lebanon to meet people who had taken the boat journey across the Mediterranean. The stories he heard there felt eerily similar to the thoughts he had while writing Sea Prayer. 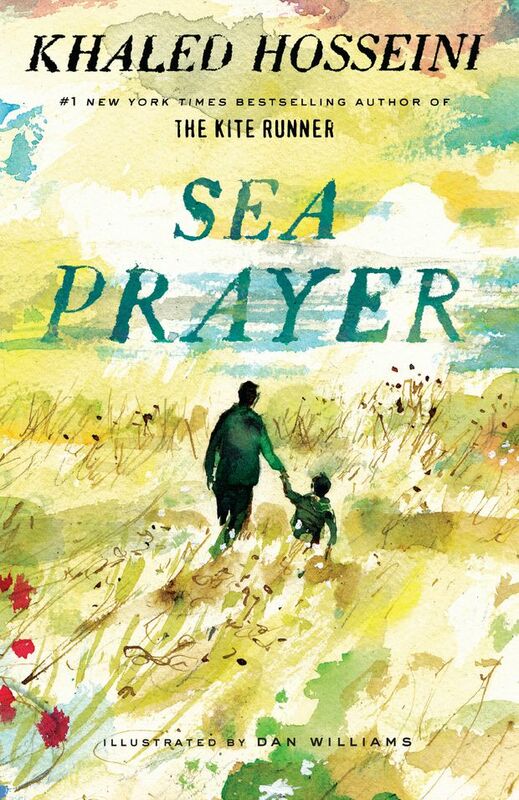 Sea Prayer is meant to remind those who read it that behind the increasingly hostile political rhetoric across the Western world, refugees are giving up everything to save themselves and their families. In an unkempt graveyard full of weeds and trash, he saw rows of mounds – the anonymous graves of refugees and migrants recovered by the Italian coastguard or found washed up on the beach. Sea Prayer is both a visually arresting tribute to those buried in that Mediterranean graveyard and a distilled message, meant to remind those who read it that behind the increasingly hostile political rhetoric across the Western world, refugees are real people giving up everything to save themselves and their families. The subject of displacement is deeply personal to Hosseini; this month also marks the 38th anniversary of his family’s own arrival in the United States as refugees from Afghanistan. As a practical measure, Hosseini suggests finding the refugees in your community and offering assistance in whatever way you can. At the end of our interview I ask, perhaps naively, whether being an advocate for refugees was somehow separate from being a novelist and whether he’d go back to writing novels.